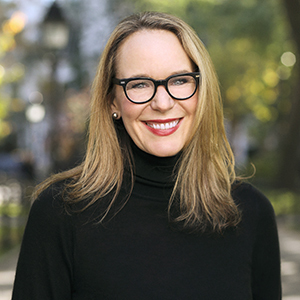 For more than a decade, Stephanie Olivero has built an impressive base of satisfied clients who have bought and sold properties in the most desirable neighborhoods of Manhattan and Brooklyn. Stephanie’s sales include new construction, co-ops, condos, townhouses and investment properties. Her clients range from first-time New York apartment buyers, to established residents seeking to upgrade to larger units as their careers and families grow, to finance professionals seeking investment or new residential opportunities. Whether buyers or sellers, Stephanie’s clients are impressed by her exhaustive knowledge of properties coming onto the market (both re-sales and newly constructed units), her meticulous attention to pricing trends in each local market segment, her mastery of and attention to the details of the co-op and condo board approval process, her expert negotiating skills, and her boundless energy. These qualities explain why a large majority of Stephanie’s client list are either repeat clients or personal referrals from past clients. Stephanie is a graduate of Syracuse University. Before beginning her real estate career, she developed her marketing, negotiation and collaboration skills over 14 years in product acquisition and product development at several leading New York-based fashion retail firms.